Earlier today, several disreputable sources reported that Big Sean was angry at Justin Bieber (a baby) for hugging Ariana Grande (also a baby) from behind while they sang a romantic duet at a concert in L.A. Turns out, the Big Sean tweet that started the feud rumors (“This kid is about to learn not to touch my girl like that. 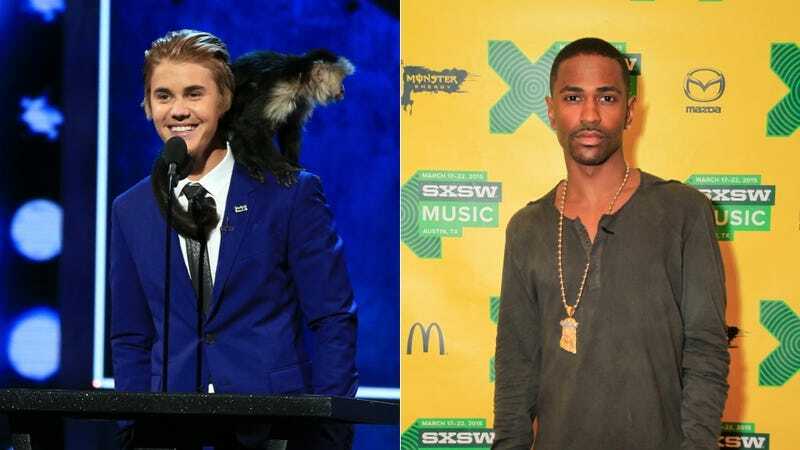 Beliebe that.”) was fake—or at least that’s what Big Sean’s reps are currently saying. A rep for Big Sean tells TMZ the tweet going around in which Sean threatened Bieber for laying hands on Ariana Grande during a concert ... is a fake. We’re told Justin and Sean are good friends ... and that he and Ariana are just fine. Another tweet of Sean’s — “so many times in my life I wish I could of been at 2 places at once” — also sounded like it was about Bieber ... but we’re told it had nothing to do with JB, and Sean just misses friends and family while on the road. And so concludes what’s sure to have been a highly entertaining celebrity feud.